Find hotel near Iskcon Chandigarh Sri Sri ..
ISKCON Chandigarh Sri Sri Radha Madhav Temple was developed in 1966 by Srila Prabhupada. This grand temple is known worldwide as part of the ISKCON movement. It shares grounds with the adjacent MCM College. 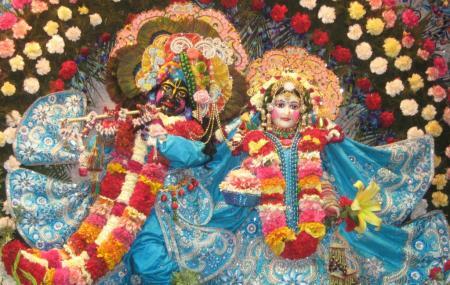 The temple offers seminars and distributes booklets on the teachings of Lord Krishna. Special dance performances held during the aartis and namkeen halwa given as Prasad are the special features of this place. Overall, this temple is a haven for devout Krishna followers. How popular is Iskcon Chandigarh Sri Sri Radha Madhav Temple? People normally club together Chandigarh Rose Garden and Le Corbusier Centre while planning their visit to Iskcon Chandigarh Sri Sri Radha Madhav Temple.